Rolex has just unveiled its new watches at Baselworld 2018, with the GMT Master II, Datejust 36, and a few other iconic Rolex pieces receiving a facelift. The real heroes of the show are the new models added to the GMT range, with a version in Oystersteel, equipped with a 24-hour 'Pepsi' bezel (pictured above). The famous blue and red bezel was previously only available on the White Gold model. 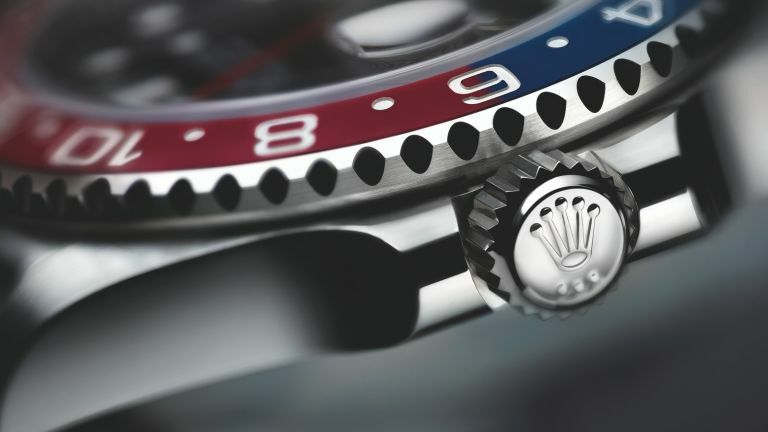 That's not all that's changed, however, Rolex has also redesigned the lugs and sides of the Oyster case, and the watch is fitted on a new five-link Jubilee bracelet. The Swiss brand has added two other versions of the GMT-Master II, introducing 18ct Everose gold to the range for the very first time. The first is crafted entirely from the exclusive alloy, while the second is available in an Everose Rolesor version, (combining it with Oystersteel). The bezels are fitted with two-colour Cerachrom inserts in a black and newly developed brown ceramic. All of the new versions are equipped with a new-generation calibre 3285 movement which guarantees a power reserve of approximately 70 hours. Like all Rolex watches, the new versions of the GMT-Master II will carry the Superlative Chronometer certification. Also unvieled was a new generation of the Oyster Perpetual Datejust 36, in either Everose Rolesor (combining Oystersteel and 18ct Everose gold) or yellow Rolesor (combining Oystersteel and 18ct yellow gold) versions. The new Datejust 36 watches are equipped with a 36mm case featuring redesigned lugs and sides, and calibre 3235. T3's favourite, the Everose Rolesor version, features a white dial with 18ct pink gold Roman numerals and a fluted bezel. If both of those pieces are a little too understated for you, then maybe the bejewelled Cosmograph Daytona is more your style? The bezel is set with a gradation of sapphires in rainbow hues, while the case is adorned with 56 brilliant-cut diamonds set into the lugs and crown guard. The dial features 11 baguette-cut sapphire hour markers, each of which matches the colour of the corresponding point on the bezel. The chronograph counters are finished in pink Gold Crystals, a material with a particular shimmer effect, created during the crystallization of a pink gold alloy. This process was developed by Rolex. T3 will be at Baselworld 2018, bringing you all the latest news from the watch world. Stay tuned. Why not invest in a watch?